The whole family will have fun with this 5 day package including whitewater rafting, horseback riding, a guided hike and a chuckwagon dinner. 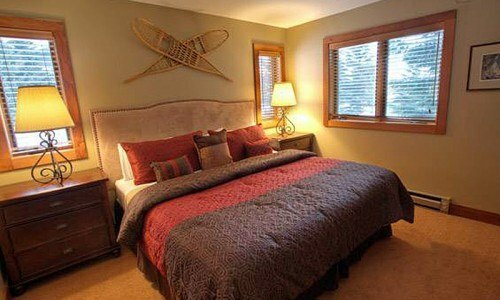 Spend 5 nights in your own fully-equipped condo in Teton Village, about 15 minutes from downtown Jackson. 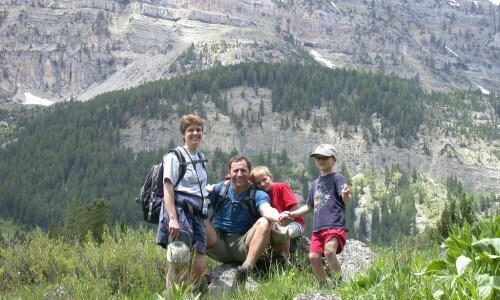 The village offers a variety of dining opportunities, a little bit of shopping, a few fun kids summer activities, and easy access to trails and the Moose Wilson Road portion of Grand Teton National Park. There is a town bus that offers convenient rides to and from town as well. Four full days will be filled with adventures for your family. 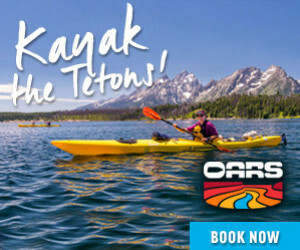 Go whitewater rafting down the Snake River Canyon (kids must be 6 y/o), on a horseback ride followed by a delicious steak dinner, and on a guided hike in nearby mountains. You'll have plans one evening to go to a chuckwagon dinner via covered wagon and plenty more time to explore the area on your own. Comfortable 2 bedroom/2 bath condos that can sleep up to 6 people. These condos have a full kitchen and a washer/dryer, making it ideal for longer stays. 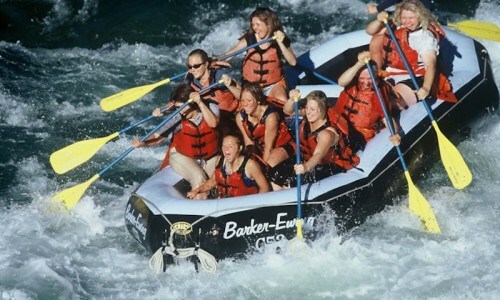 The 8-mile Whitewater Adventure on the Snake River is full of excitement at every turn! The Snake is a class II/ III river, a great beginner/ intermediate river for kids as young as six and people of all ability levels. Choose a standard 14-man raft or the more adventurous 8-man raft to plunge through the famous Lunch Counter and Big Kahuna rapids! Multiple departures all day long. This trip is approximately 3.5 - 4 hours round trip from Jackson. The cast and crew at the Bar-T-5 Covered Wagon show you the true meaning of western hospitality. 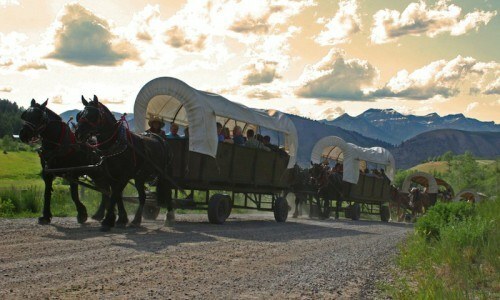 Travel by horse drawn covered wagons as you are swept away from the Town of Jackson into beautiful Cache Creek Canyon. Keep your eyes open, because you never know who you may encounter on the trail. 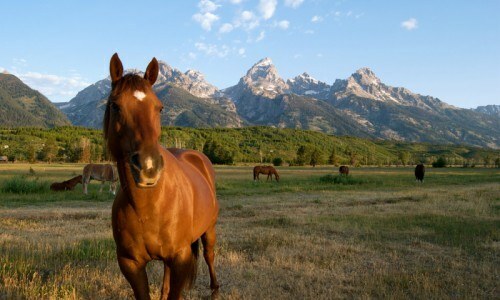 With your own wrangler on the lines they will personally guide your team of horses up the trail. When you get to camp you go through the "chow line", much like you might have done in the Old West - and enjoy Dutch Oven style cooking that is delicious and hearty. The Bar T 5 band entertains you with western music and cowboy humor that is family friendly and will have you stomping your feet. Complete your evening with a peaceful wagon ride out of the canyon, following the setting sun back into Jackson just as the old time cowboys did. 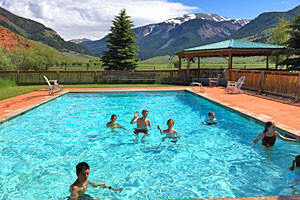 Head out from our ranch into the Bridger Teton National Forest to enjoy views of the Hoback area, Snake River Canyon Area, and the Teton Range. Then come on back to the ranch for a delicious steak dinner.